Quilting Adventures: Tah Dah.......on to quilting! My paper is finally done! Hurray! I can move on with my life! 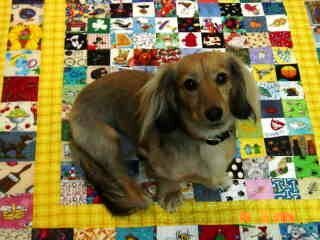 First, I want to say that the picture you are seeing is not a quilt of mine. 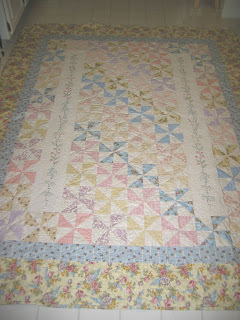 It was done by Wendy, who posted an entry on her blog Snippets of a Quilter. When I first saw this quilt, I immediately feel in love with it. 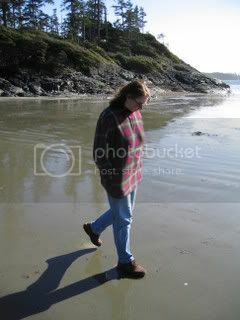 Wendy has graciously given me permission to use it on my blog. The picture on the pattern does not do the quilt justice. And well, Wendy's quilt does! So thank you again Wendy for allowing me to show your beautiful work. My mother, like most women in the late 50's, hand embroidered. She has a few pillow cases and serviettes that she's kept. She is not a quilter, however she has agreed to work with me on this quilt. You see, my daughter has nothing made by my mother. Given that she just loves quilts, I thought it would be a great idea if my mother and I worked jointly on a quilt. The pattern is called French Cottage Design by Crab-Apple Hill . It has two columns on each sides that are hand embroidered, which will be done by my mother. I shall do the sewing/piecing part. I think it will be wonderful that my daughter will have a quilt that has her grandmother's hand work. Today, I shall attempt to get the embroidery panels done so that my mom can get working on it. She's been asking about it! My mother is coming down to stay with us for approximately a week in order to help me out. I'm sure she'll appreciate a bit of hand work while she takes care of my daughter. What a beautiful quilt, I just love Crab Apple Hill designs. By the time the quilts finished, you'll have an heirloom to pass down through the generations. Look forward to seeing your progress on this one. What an incredible heirloom for your daughter. I'm sure she will cherish forever! Your Mom will really enjoy the embroidery, I did. I'm glad you like the quilt and felt inspired. Can't wait to see your version. You are creating a gorgeous, generational heirloom for your daughter - there's something even more special in that. What a treasure. Congrats on getting the paper done! I'm doing a little happy dance for you! Your friends quilt is beautiful. Thanks for sharing. This quilt is one that whispers directly to the heart! What a lovely idea to link the generations through such an heirloom as this, everyone's a winner! I don't seem to be able to comment on your most recent post. When it comes to life there always is someone who is worse off and we can count our blessing. "But for the Grace of God go I" my friend Isabel always would say. Good luck with your upcoming surgery, it looks like you have a very good doctor onside. I hope you recover quickly!! I made this pinwheel quilt last year, but left out the embroidery. I can see that was a big mistake! It is lovely with the hand work!